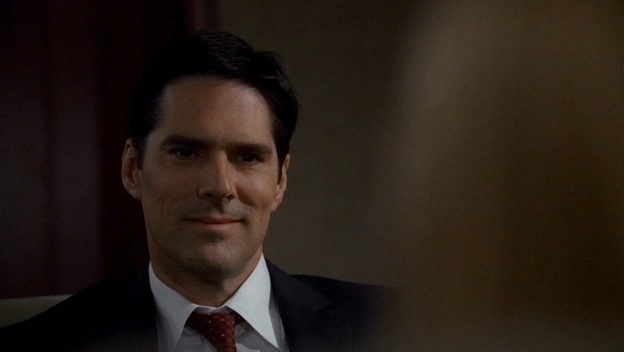 This SSA Aaron Hotchner photo contains کاروبار سوٹ, بزنس سوٹ, سوٹ, and کپڑے کا سوٹ. There might also be دو, دو پیس سوٹ, لاؤنج سوٹ, دو ٹکڑے, دو ٹکڑے سوٹ, تین ٹکڑا, تین ٹکڑا سوٹ, ایک چھاتی سوٹ, and واحد بریزٹید سوٹ. Ahhhh......and there is that beautiful smile, I'm melting away as it is already. Hotch, I absolutely adore you, and you are the only reason I keep watching CM.